Did your weekend pass too quickly? Mizzou is undefeated. The SEC wanted Big XII teams, and the SEC got Big XII teams. Or was Georgia just overrated? You guys can figure that out. I just want to post this picture. 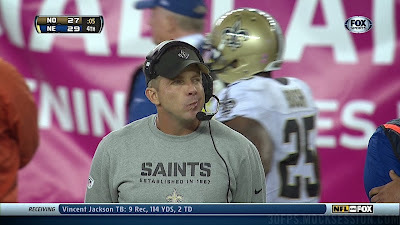 Message to fans: Don't make faces that gif'able when you are at a game that is being televised. 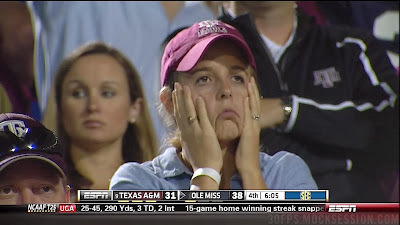 Message to sports television producers: If you show the poor lady when she was sad about losing, you MUST go back and show her again when she is happy about winning. How awesome would that aggie comedy/tragedy poster be? And speaking of tragedies, 1st place The Paperboys' (KW) priorities were to murder animals from a distance and not to use his wireless pocket phone to make picks. But seriously, may your shots be straighter than your priorities, and I hope some tasty summer sausage comes from this. How accurate were you this week with your NCAA picks? Better than Michigan and Penn State kicking field goals? 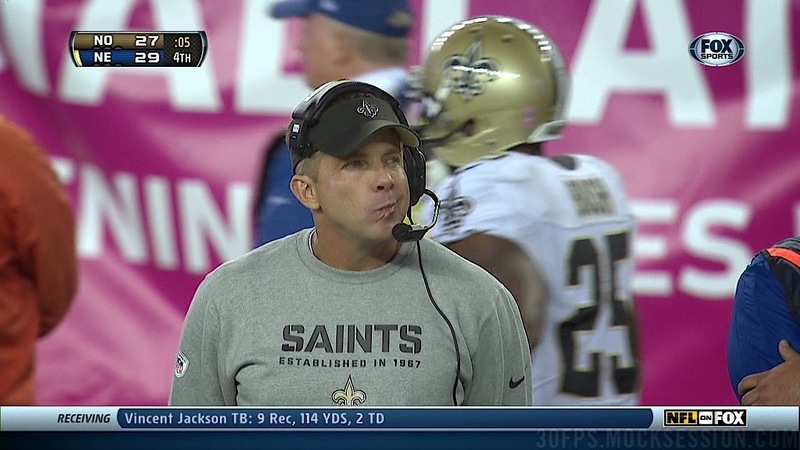 Sean Payton is not impressed with your NFL picks. But to be fair, neither is McKayla Maroney.